Get your kids excited about reading and trying new fruits and veggies with this fun list of children’s books about food! Getting your kids to eat healthy foods. Yep. I should know how to do it, right? Or give you some magical potion to do just that. Well, no magic potion here. And if I had some I would sell it for a high price. Sales pitch aside, I’m somewhat surprised that my initial plan of getting kids involved in the kitchen is NOT the reason my kids are interested in eating somewhat healthy foods. What or who can I thank for that apple slice making its way to my toddler’s mouth? Besides role modeling, my magic potion is actually something you likely have in your own home. BOOKS! Specifically, children’s books about food. Yep, I’m finding that the best time to talk about food and get the kids excited about healthy food hasn’t been in the kitchen, it’s been through story books! Lucky for me, while my kids don’t always like the food I’m serving up, they are always open to a good story. We spend time before naps, after naps, and before bed reading. I’ve also been known to change a diaper while one of the boys is holding a book in their hands. Which is sort of like reading a magazine on the toilet, right?! Anyways, as much as I want to involve my dynamic duo in the kitchen- which has been shown to be beneficial when it comes to handling picky eaters, right now mealtime is a little chaotic with the baby around. I’m trying to cook meals as quickly as possible because as soon as Lily’s hears me chopping or sautéing, she decides she’s hungry too! Dad usually does the bedtime reading… lucky for the boys they get in most of their favorite books with him! I sometimes put a limit on the number of books we read midday, depending on what sis needs! Because reading about healthy foods [aka fruits and veggies] has helped lead to more “tries” of those green veggies, more mealtime discussions, excitement while grocery shopping, and heck, improved vocabulary and communication skills in my boys, I’ve rounded up a few of our favorite children’s books about food! Side note: this is NOT a guarantee your kids will eat their broccoli. But recognizing a fruit or vegetable is one of the first steps towards acceptance, and HOPEFULLY tasting. And then liking. I’m still working on that one with broccoli… but we are getting closer! Eating the Alphabet: Fruits & Vegetables from A to Z. Besides making me hungry, I love this book because it’s helping the boys not only recognize different foods, but letters too! Monsters Don’t Eat Broccoli. But one of the Serbinski boys does! The other one requests this book over and over… and I’m hoping one day he will eat the broccoli, like the monsters end up doing! Little Pea. Basically this green pea [the main character in the book] hates candy and loves spinach. The opposite of my kids. But it’s a fun, quick read that I’ve read 504 times now. Joey’s hungry caterpillar nursery. Let’s just say my Mom should start her own decorating biz! The Very Hungry Caterpillar. I love this book and I’m 31 years old. A classic that is good for any age, even babies since that’s how I decorated Joey’s nursery when he was a baby! If You Give a Moose a Muffin. I know a muffin isn’t a fruit or vegetable, but I’m all about balance and moderation in my house. Muffins included! There is other animal + food books from Laura Numeroff but this one is the original that started her fun series. The Berenstain Bears and Too Much Junk Food. I remember reading BB books over and over and over again growing up. And guess what? My kids apparently want me to relive my childhood. I’m reading this one a lot lately! The Ninja Turtles Pizza Party. Anthony wants this one 24/7. I’m pretty sure I heard him yell “PIZZA PARTY” in his sleep! You know my family loves pizza, and that’s transpired into pizza books too! Dragons Love Tacos. My toddlers weren’t so receptive to taco Tuesdays. But then we bought this book and now they want tacos every night of the week! These same authors have a funny pizza party book too! With the holidays right around the corner, hopefully you’ve found a book or two for the pickiest of eaters in your life to get them excited about food! If you’ve got a book lover in the house, what’s one of their favorite children’s books about food?! I positively love any books that depict agriculture accurately…which is sometimes tough to find! But Farm Bureau has a great list: https://www.michfb.com/MI/Ag_Ed_and_Leadership/PE_Resources/Ag_Books_and_Mags/Accurate_Ag_Books/ I think my two favorites right now are The Beeman and How Did That Get In My Lunchbox? what a fun post girl! I love that Hungry Caterpillar! One of my favorite books. Micah is into a book right now that sings the song, On Top Of Spaghetti….lol. 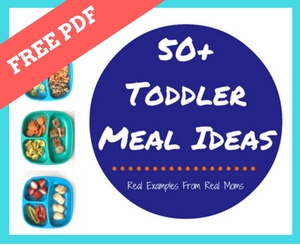 We are in the peak of “choosey” independent toddler eating, so this list will be perfect for our house! We love a good book list and opens up a fun opportunity to talk about different foods!! Thank you for sharing!! I’m so glad you found this helpful! We are in the stage too!